Everyone blushes, but no one knows why. In old novels and plays, the woman who blushes is invariably described as lovely and virtuous. Jane Austen, for instance, created charming characters whose blushing was a sign of modesty and sincerity. Paintings from the 18th and 19th centuries often display pink-cheeked women looking sweet. 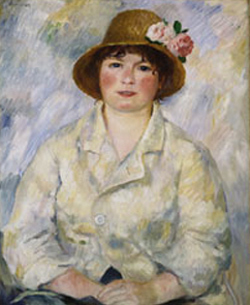 Think of the many beautiful and blushing young women Auguste Renoir painted over the years. But today, instead of being viewed as attractive, blushing is seen as an expression of shame and embarrassment. Contemporary accounts of the blush portray it almost entirely in negative terms. The blusher’s red face seems to unmask a person who just isn’t right with the world, quite literally an uncool character, one who has somehow crossed the boundary between the outside social world and the private inner life.